Shopping online on Black Friday Weekend can be a great way of getting the best deal as retailers slash prices across their range. But as security risks mount and hackers continue to target consumers’ personal data, could shoppers turn their backs on online stores and return to more traditional, secure methods? To understand UK consumers’ attitudes to shopping online at Black Friday and how they balance security with convenience, Radware sought the opinions of 500 UK adults. The results show that an overwhelming majority—more than 70%—of UK consumers do not think companies are doing enough to protect their personal data on Black Friday. In fact, over 10% reported that they had personally been affected by a data breach. As a result, 45% of respondents said they would not be shopping online, including 32% who said they would visit a physical store instead. The fear of having personal data compromised while shopping online is undeniable: 40% of UK consumers plan to change their online habits during Black Friday, including 25% who will reportedly only shop with well-known brands or will check that the website is secure before making a purchase. These security concerns have resulted in a split approach to Black Friday shopping. 55% of the survey respondents stated that convenience, price or home delivery was worth the potential risk, while the remaining 45% preferred to avoid online shopping, including 32% who said they would visit a physical store instead. And for those aged 55 and older, more than 25% stated they would rather order by telephone. The research shows that many consumers are aware of the risks of online shopping, and while some are willing to accept this for convenience and price, others are avoiding online shopping altogether. Organisations, especially retailers, need to invest in strong cybersecurity if they want to increase trust and attract new customers at key trading periods. 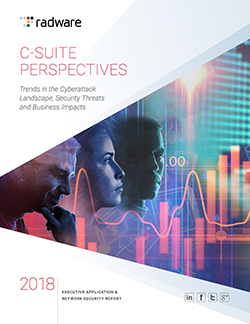 The research found that 12% of respondents had been the victim of a data breach, and this figure rose to 17% when including respondents who had received an alert from their bank that an attempt had been stopped. While all age groups were affected by data breaches, those under 35 are more likely to utilize identity check websites and even the Dark Web in order to confirm whether their data has been breached. Respondents were generally open about sharing their experiences online, with 44% saying they would tell a friend if they fell for a scam online to help them avoid the same fate. A further 16% said they would ask for help while 7% would try to solve any problems themselves. Only 3% would keep quiet out of embarrassment. With Internet-connected devices expected to be top-sellers this Black Friday, Radware also considered consumers’ opinions of connected devices and the threats they pose. When asked who has responsibility for keeping connected devices secure, almost 40% responded that it was their personal responsibility. A further 20% said security was up to their Internet service provider, while 7% hold the device manufacturer responsible. Only 3% placed responsibility with the UK Government, despite the recent creation of a voluntary Code of Practice aimed at consumer products, developed by the Department for Digital, Culture, Media and Sport (DCMS) and the National Cyber Security Centre (NCSC). Opinions were again split on the risks of connected devices, with 52% saying security threats were outweighed by convenience, including 36% who said devices make their lives easier. However, when told that unsecure devices could be used to spy or listen on owners, 25% were shocked it was even possible, 21% said they would put off using the devices, and 18% said they felt nervous in their own home. While personal opinions vary regarding security vs. convenience, the overall sentiment is one of low trust in online retailers. At such a crucial shopping time of year, retailers must proactively convince consumers that their digital shopping experience is secure. In fact, security should be leveraged as a selling point to demonstrate that customer data safety takes priority over sales on Black Friday. Retailers that secure the customer experience and ensure customer data is safe will be the winners not only on Black Friday, but all year round. METHODOLOGY: The survey was completed by Radware via a Google Survey conducted in November 2018 among a sample of 500 UK adults.